This bach has been recently refreshed into a modern comfortable bach with all the comforts of home. The views from the front are some of the finest anywhere in the Hokianga - being elevated and open your view takes in the Harbour, the Heads, the golden sand dunes and the opportunity to enjoy the most beautiful sunsets. PLEASE NOTE.......LINEN IS NOT INCLUDED WITH THIS PROPERTY!! 20 minutes to the Waipoua Forest and Tane Mahuta - fabulous walks in the kauri forest. Swimming, fishing, sand boarding, diving, walking, water sports, cafes, 2 pubs, fish and chips or just peace and quiet! Hokianga is one of the most historic areas in New Zealand dating back to the first Maori arrivals and Kupe - the full name for Hokianga is "Hokianganui a Kupe" meaning "the returning place of Kupe". Handy to the Bay of Islands, Ahipara, 90 Mile Beach, Kerikeri, Doubtless Bay and Cape Reinga. LINEN IS NOT INCLUDED AT THIS PROPERTY SO PLEASE BRING YOUR OWN. LINEN IS SHEETS, PILLOW SLIPS, TOWELS AND FLANNELS. LINEN CAN BE SUPPLIED WITH PRIOR NOTICE AT $10 PER PERSON. PLEASE REQUEST AT THE TIME OF BOOKING, THANK YOU. TV reception is via the Freeview system. No SKY sorry. Nearby is Rawene, Kaikohe and Okaikau. A little further on you’ll find world class Waitangi. Lovely view. Everything we needed. We found the bath very high to get in for a shower. Nice little place to spend a couple of days to relax.Great outlook from deck with views of the Hoki Harbour and Dunes.Great Sunsets. Pretty quite street as well. Beautiful View Of The Hokianga Harbour. The Property Has Everything Needed For Your Stay. 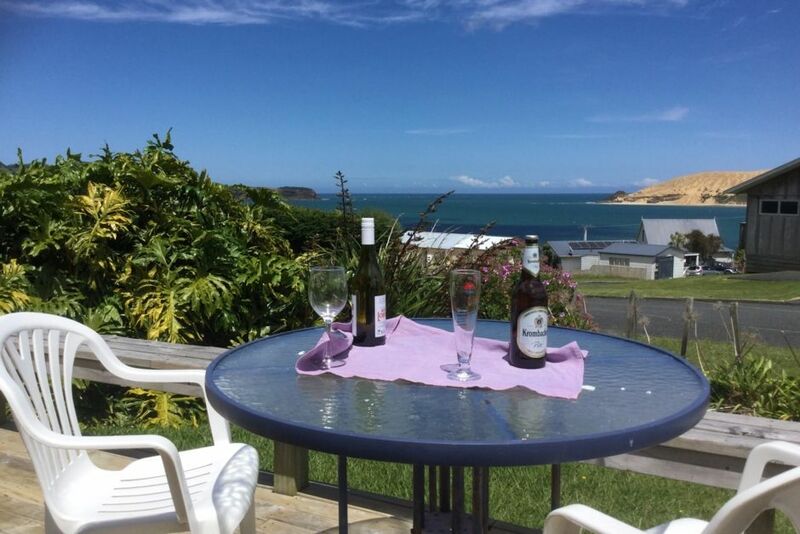 Perfectly well equipped kiwi Bach, clean and comfortable with million dollar views! Great property. Perfect for families. Really enjoyed our stay. Appreciated having a washing machine to catch up on holiday laundry. Great to deal with, left the property spotless. Thank you.